This is your first contact for Westie Rescue. If you have questions after reading the “Applications” link to the left, contact Jackie. See notes below. FOSTER HOME COORDINATOR: Susan Bloomfield 810-399-8388 (before 8pm) is our foster home coordinator so contact her if you are interested in fostering for us. Beth is the person to contact if you have a dog you need to surrender. GEOGRAPHICAL LIMITATIONS: We seldom place outside of the state. Occasionally a harder to place dog may find a home in a neighboring state but due to the difficulties in enforcing contracts, doing home visits, getting the dog transported back to us if the adoption doesn’t work out, etc., it is rare that a dog would go to a distant state or Canada. 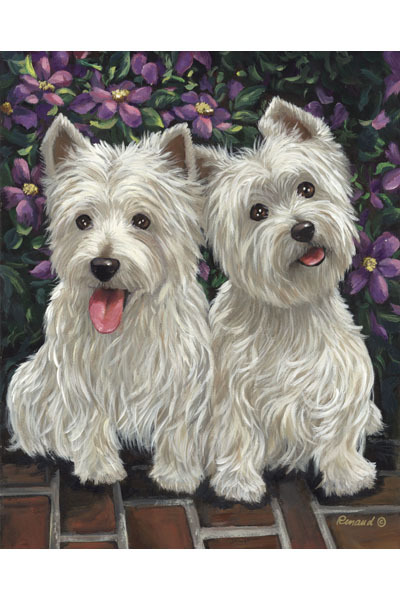 TWO DOGS TOGETHER: We will often take two dogs but we do not ever promise to keep them together. While we understand why you would want that, it just isn’t very feasible to do it. We will often have to split the dogs up while in foster care and at that time we try to see how they do separately. Sometimes they actually do better separated. But if we find a home that will take two dogs and we can place them together, we sometimes are able. No guarantees.